The cooperative is now almost four months old and a lot has happened since the start. The members of the cooperative have unanimously opted for a manager. This has become Pious Nyirongo. Pious will take on this task for a year supported by Jacana. In this year Pious will also train the new manager and when duties are handed over the cooperative will be completely on its own feet. EMD started a promotional campaign for Chipata and surroundings in the month of October 2018. This happened via radio four times a day and TV six times a day. The phone did not stop ringing. People called even in the night to ask for information. The first month many promises were made by potential customers, but not fulfilled and the manager became a bit nervous. Of course, this is normal in the beginning and EMD needs a start-up period to be able to see that it is viable. Fortunately, EMD has made a flying start since November 2018, with praising results. An agreement has been made within the cooperative that a drilling team always consists of two experienced drillers and that they themselves hire more helpers. • 11 pumps were installed without any kind of sponsorship, of which 3 in the Southern Province of Zambia (over a day's drive), 1 in Mfuwe district, 1 in Lundazi district and 6 in Chipata district. 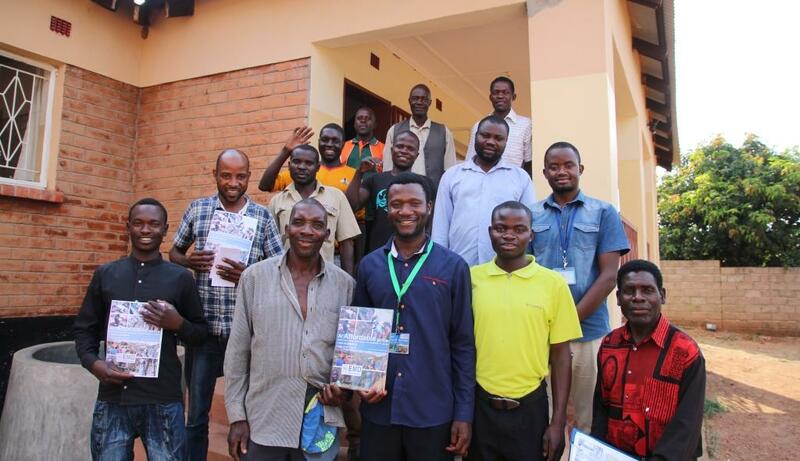 • 16 partially sponsored pumps were commissioned by Jacana in Chipata district in the Water for Zambia project. 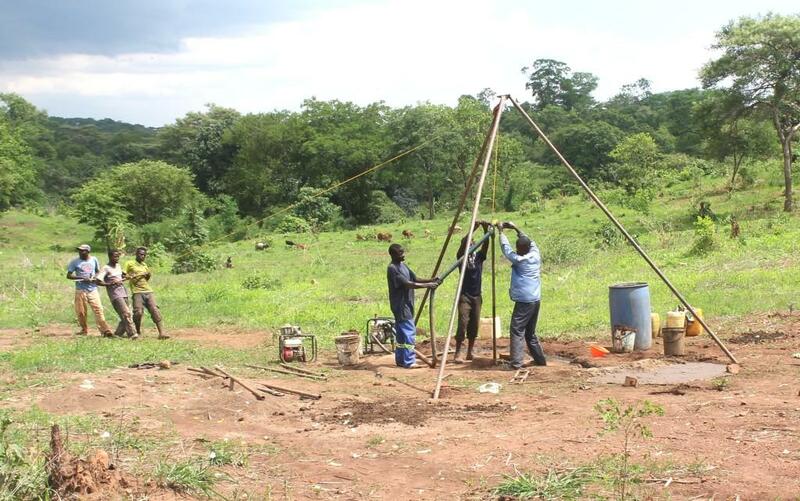 • Now 1 team is drilling in the Southern Province and 3 teams are drilling in Chipata district. • EMD has a waiting list for 7 boreholes, 2 in Chipata district, 1 in Mfuwe, 2 in the Southern Province and 2 in the Central Province. Before EMD started the same drillers drilled, from March 2017 up to October 2018, in total 89 boreholes, where off 63 partly sponsored and 26 Self-supply, meaning that people bought the pump without any subsidy. Until now (January 2019) 6160 people got water for household and/or business. In conclusion, we can say that EMD has made a flying start. 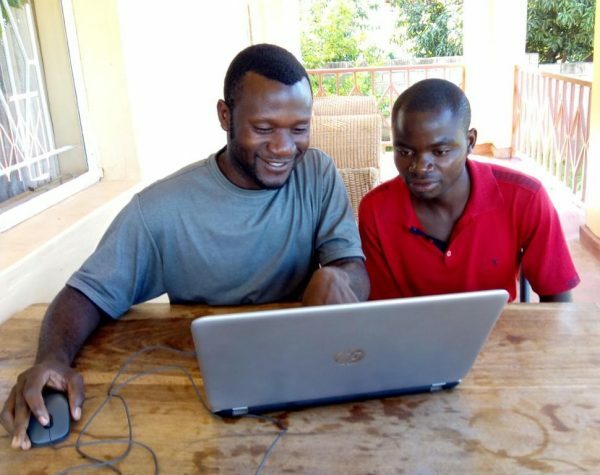 The assignments come not only from Chipata district but even from all over the country. The promotion has certainly contributed to EMD getting assignments, but the Water for Zambia project has also shown that the technology works. People see the pumps in the Show case area and talk about it with their family and friends. Much depends on how EMD is managed. 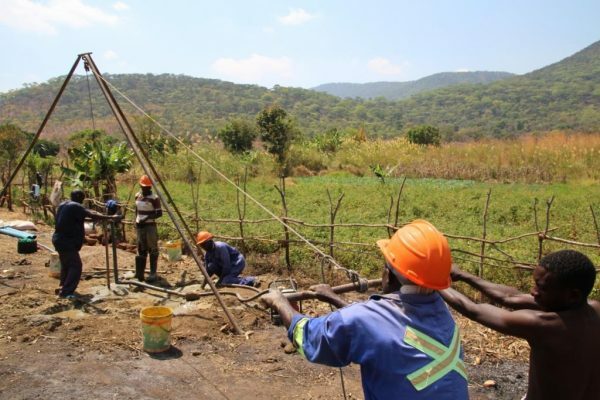 Contacts must be maintained, contracts drawn up and signed, assignments must be assigned to drilling teams, finances must be transparent and of course the quality of the boreholes must be monitored. For the latter EMD asks Jacana. Jacana monitors each new pump and issues a quality certificate tag with the telephone number of the respective driller. This is necessary for the customer so that he or she can always reach a driller or welder when the pump needs to be maintained. Follow us on social media. We keep you up to date with useful, funny and short stories, videos and pictures.